When we interviewed Abigail Carter a few years ago, it was about the publication of her book, "Alchemy of Loss: A Young Widow's Transformation". What has she been up to since then? Well, she's co-founded the online marketplace Writer.ly to help bring together the talents of writers, publishers, editors, and designers into a mutually beneficial online community. Since there are so many people in the Self Help and Spiritual Community who write, would like to write, or have self published their own work, I felt that learning a bit more about this wonderful new service could be valuable to quite a few people. Make sure to pass this article on to anyone you know who may be interested in this terrific service! Abigail: Writer.ly is an online marketplace where a writer can find service providers who will help them publish and market their work. It's a place where a writer can find a book editor, a cover designer, a social media expert, a web designer – you name it. It's also a place where someone can find a writer to help them, such as writing coach or a ghost writer. Conversely, it's also a place where service providers such as editors and designers can find work. You can post a job – perhaps a manuscript that needs editing – give it a budget and a deadline and have editors bid on your job. You choose based on price, experience and ratings on the site posted by other people who have worked with that editor. Writer.ly is also a community of writers and publishing experts working together to produce a successful, quality product. MBS: Is it for illustration work too, or just writing content? What about businesses who are just geared towards distribution? Abigail: Yes, there are illustrators on Writer.ly too. Writers need help with distribution as well. There are other websites out there who specialize in the distribution of ebooks (Bookbaby.com, for instance), but if you were to post a job needing help with distribution you would get bids. MBS: How did the idea for Writer.ly evolve? 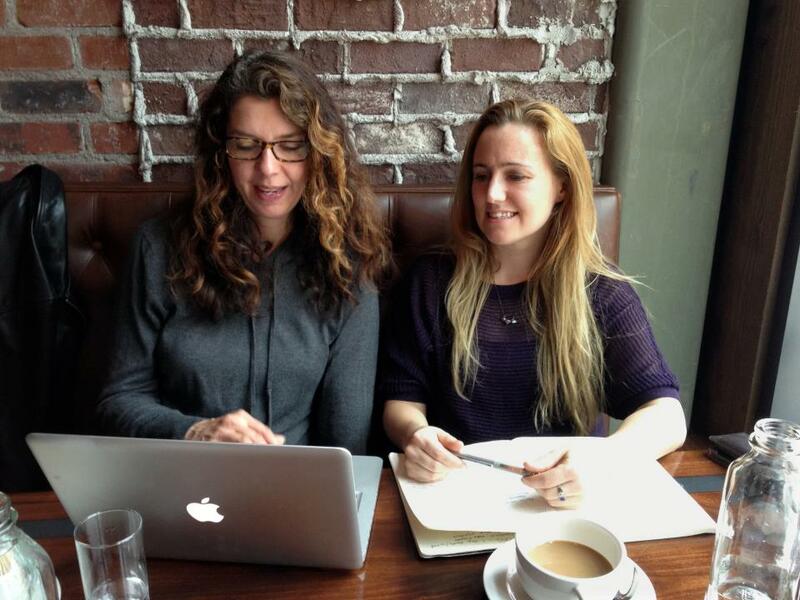 Abigail: My co-founder Kelsye Nelson and I met at a writing Meetup that she started several years ago, called Seattle Daylight Writers. I had just published my book and had no idea that I was meant to do my own marketing, but learned a few things by talking to some of the other writers there. Some people in our group talked about needing an editor or a book designer and we realized there was no place where writers could find the people they needed to help them. Publishing a book requires a team of people and with the surge of self publishing going on right now, that has never been more true. Kelsye and I talked about this a lot and we got excited about this idea of bringing writers together with self publishing experts. But it was really Kelsye who formulated the idea for an online marketplace and was accepted into The Founder's Institute (http://fi.co/), a start-up incubator program that helped to build it into a real business. When she was a few weeks into the program, she came to me and asked me if I wanted to join her. I didn't hesitate, since I knew the need for such a marketplace first-hand. 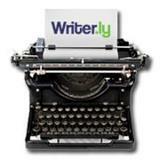 We launched Writer.ly on January 25th, 2013 and now have over 3,600 people registered. It's been super exciting. MBS: Is Writer.ly for all levels or writers, or mostly just for those new to the world of writing and publishing? Abigail: Writer.ly is for all writers, both brand new, self published and traditionally published. Even traditionally published, well established authors need marketing help, and new writers need coaches and good editors. There's something for everyone at Writer.ly. MBS: Is this a pay service, or is it free? When people sign on to the service, what can they expect? Abigail: It is free to register, post a job and bid on a job. Writer.ly takes at 10% transaction fee, so it's up to the freelancer whether they want to pass that cost onto the writer, or absorb it into their own cost. MBS: In the Mind Body Spirit Community there are many first time writers and self published writers. How can a service like Writer.ly benefit them? Abigail: There is lots for a first time writer. It's a place where you could find a writing coach, and soon we will have services that will allow writers to select from a variety of services offered by our freelancers. Sometimes new writers don't actually know what services they need, so this new section will be a showcase of what's out there. As well, we are close to launching an educational section of the site that will enable people to learn about the craft of writing, self publishing and everything in between. Our philosophy is all about helping writers become successful, so everything we do is geared toward that goal. MBS: Where do you see Writer.ly headed in the future? What are some of the upcoming plans you have for it? Abigail: I mentioned our "Offers" section which will be launching in a few weeks, and our "Community" educational section coming soon as well. We hope to create a vibrant community of writers, freelancers and self publishing specialists who work together to improve the quality of work that is being published in all the new forms available right now. It's exciting days for publishing right now, and we hope to open the door for more great work to be accessible. MBS: When you wrote your book, what were some of the biggest learning lessons you took away from it? Abigail: In writing my book, I learned how much I actually needed to do myself. I honestly thought I could just sit back and let the publisher take care of everything. The reality is that I needed to build my audience, market my book and distribute it in any way I could. Some of those things happened almost by accident through writing my blog, but I could have done a LOT more to get my book into people's hands. I am definitely going to self publish my novel. It will be a big undertaking, but I'm excited for the challenge. • We will be at Book Expo America on May 29-June 1st at Javitz Center in NYC. (wanna come and visit our booth?). Thanks Abby, and good luck!